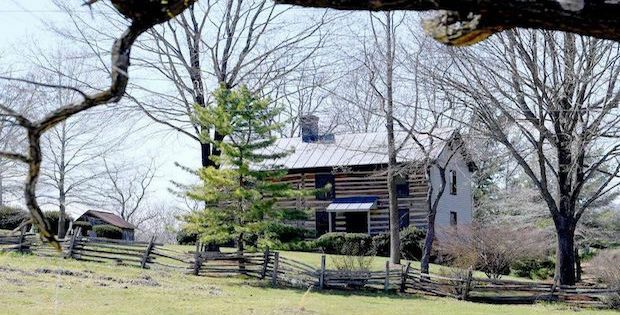 This little log cabin is steeped in history, standing since the 1820s. 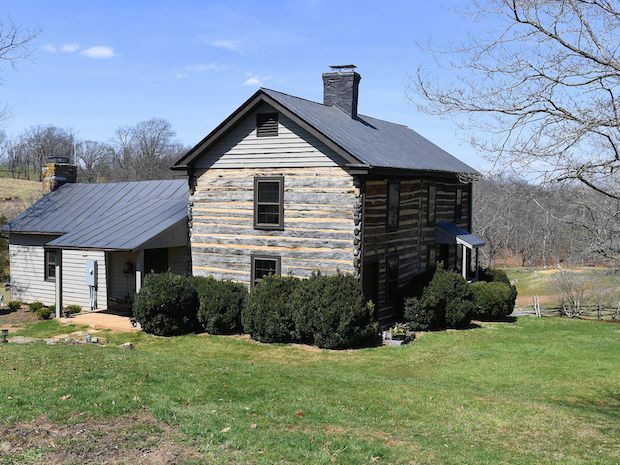 Now revisited and its interior updated, this home on a hill features a classic log cabin feel with a new warm and welcoming atmosphere while providing a comfortable helping of seclusion. Located in Middlebrook Greater Manchester, England, the home actually consists of three cabins merged together, adding more to the already cozy and ample space. 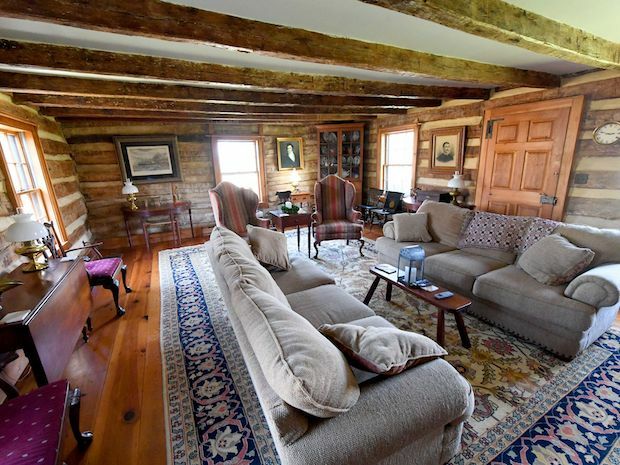 The interior features curtain-free windows which emphasize the classic feel of a log cabin, allowing for the insides to be naturally lit. 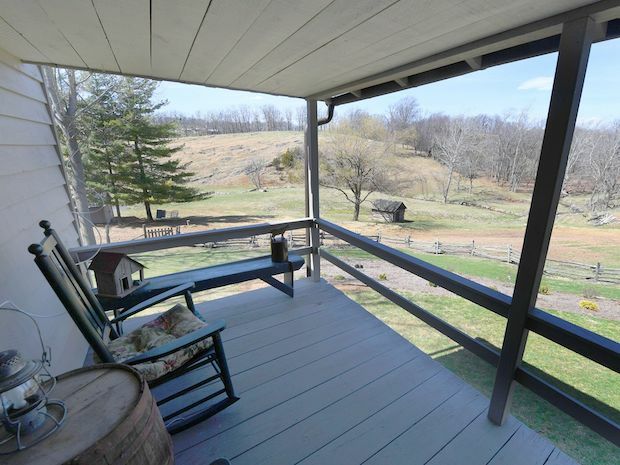 A lovely little porch is also available at the back of the house; here you can just sit down and relax as you admire the wildlife, especially the occasional deer and foxes. The Rowe’s did some minor updating to the home, including a kitchen rehab and modern recessed lighting. They also updated the flowerbeds and other landscaping efforts to include tulip poplars, redbud, boxwood hedges, dogwoods, and daffodils. 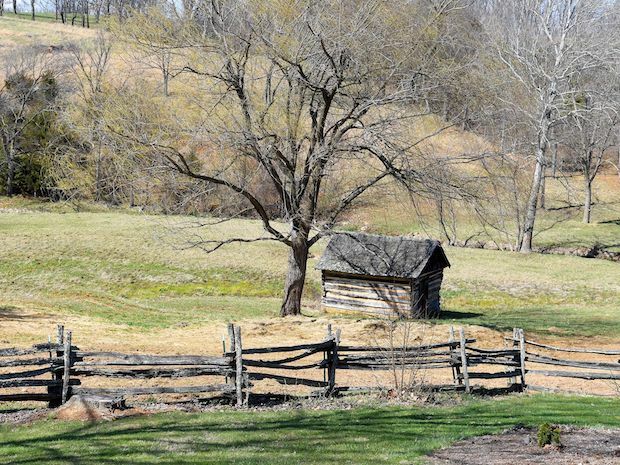 The property also includes a springhouse, chicken house, granary and a two-story smokehouse.